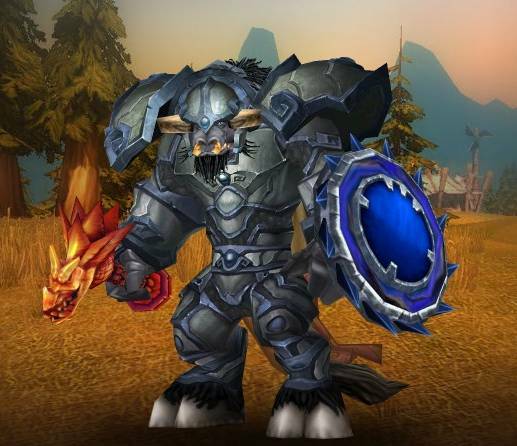 Ay is a Tauren Paladin, specced in Protection and Retribution. The quotes above were gleaned from older research done for Ay. As to why they’re mentioned here? I see a relationship between some tanking qualities and those of a young guild master. And that dear readers, is the subject of choice for the days and time ahead. The life, times, trials and tribulations of a guild master/leader on an average PvE server with all it’s nuances, mediocre population trends/activity and a far from promising economy. I am going to literally dissect a guild master, and his game life. Advisory! This is not meant to be any sort of guide for current or potential guild masters out there. You may or may not read things you can relate to, or expect to encounter on your own journeys. You can most certainly google and find more specific information pertaining to your individual needs, by infinately far more experianced guild masters. Having been duely and respectfully advised; meet Aygaren. GM of Gray Dawn on the US-Fenris PvE server. Feel free to stop by and say “Hello!” anytime you’re in the neighborhood. Gray Dawn came into existance a little over a year ago and grew into a level 25 guild. One day, Aygaren, and a blogger/ingame friend decided they finally had enough of all the auto-invites guilds would use. 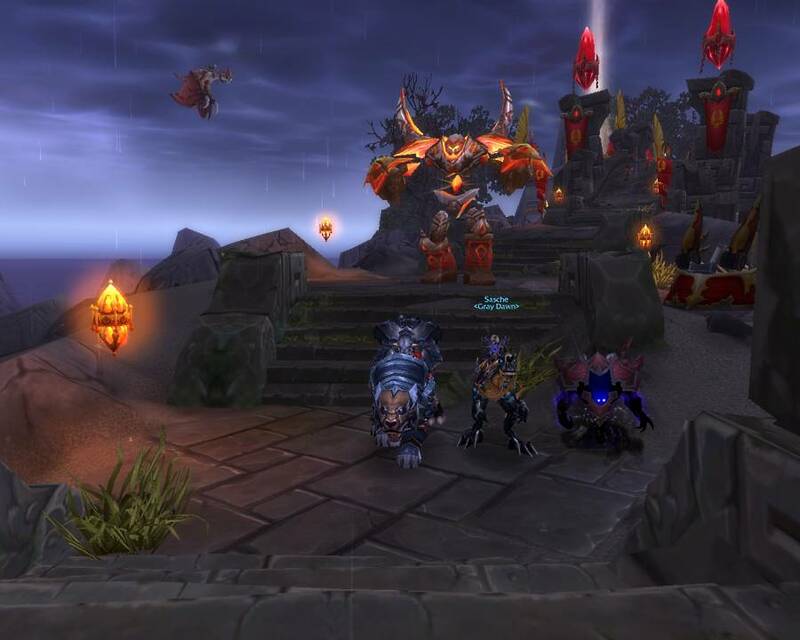 Both were mostly solo players who enjoyed questing and collecting various items, pets and achievements. Both, obviously needed more bank space. Conversation ensued for a few more days followed by the decision to go with it. Aygaren happened to be the one in Org at the time, so he did the initial set-up and became the guild master of record. Aygaren pretty much assumed many of the duties guild masters are generally considered responsible for. First on the list was obtaining enough unique signatures for the charter. Fenris, being Fenris, this took a few days. Mission accomplished, Gray Dawn became an official guild. Aygaren set up a beginning ranking system and quickly promoted Sasche to a Co-Gm position. A note of interest here. Sasche came up with the guild’s name, Gray Dawn. I remember her explaining to me her thoughts that day. “Gray,” because we were older players. “Dawn,” since we were both daytime players. Sasche also designed the header image for our guild’s website. As Co-Gm’s, we’ve been fortunate enough to have mostly simular game beliefs, thoughts and opinions over many aspects of our new guild. This is not to say that there aren’t any differences, although none have proven to be of any major concern. Aygaren views these slight differences as a good and healthy partnership. As something of a “balance.” Lol, where Aygaren tends to be more “heavy-handed,” Sasche keeps the softer view of things alive. That about covers the background story over the guild’s inception, founders and how Ay became a guild master. I’m forever indebted to Sasche for making this aspect of the game available to Aygaren. It’s proving to be an experiance and challenge in more ways than I could list. So much so in fact, it is the very reason why I’ve chosen to feature this aspect of World of Warcraft. The life of a guild master.